These bonds are junk… literally. The average credit rating is junk. All told, since 2012, 75% of companies accessing the bond market have had a credit rating of single-B. 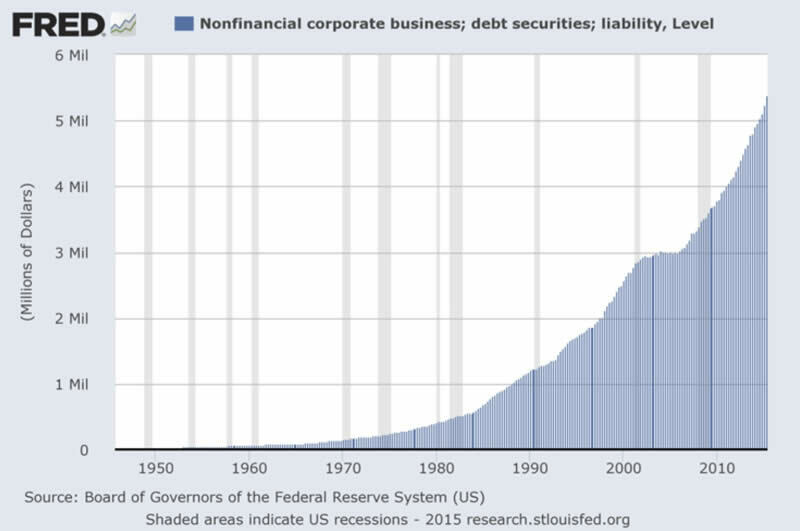 So… if the corporate bond market is now TWICE as large as it was in 2008. And the quality of the bonds is lower than it was at the PEAK of the previous bubble… what does that tell us about the state of affairs for the markets in 2016? 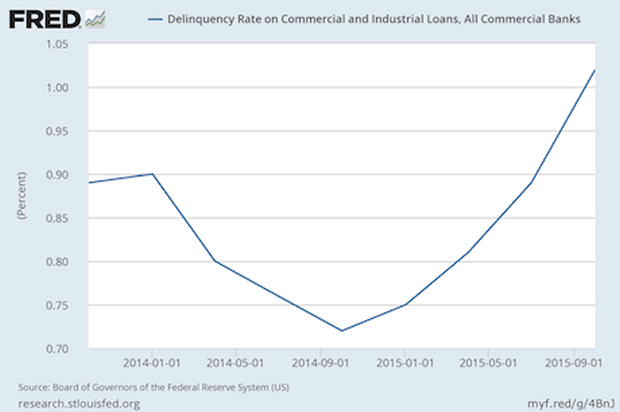 And look… delinquencies are spiking on corporate loans from commercial banks… indicating that businesses (the same businesses that are issuing record amounts of garbage debt) are not paying banks back for corporate loans. The time to prepare for this bubble to burst is now. Imagine if you’d prepared for the 2008 Crash back in late 2007? We did, and our clients made triple digit returns when the markets imploded.